A few miles after ‘Darreh Shahr’, we reach ‘Gavmishan’ bridge. This bridge, built originally in Sassanian times, has been repaired and renovated many times over the centuries, and spans the ‘Seimareh’ river. 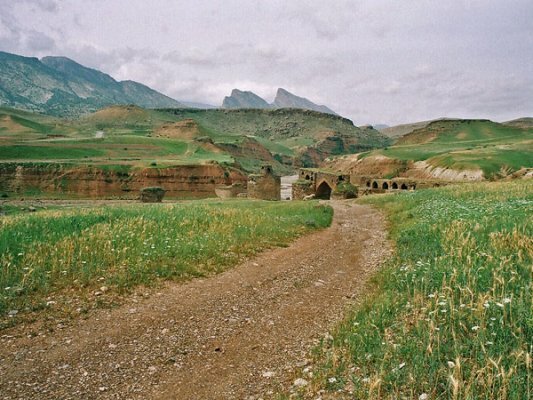 The left side of the bridge is Ilam, and the right is Luristan.